“We believe microbes and plants are intimate partners in virtually every life processes. It is a probiotic in plant science. Microbes’ helps plants by improving availability of crop nutrients, enhancing plant root growth and neutralizing toxic compounds in soil. 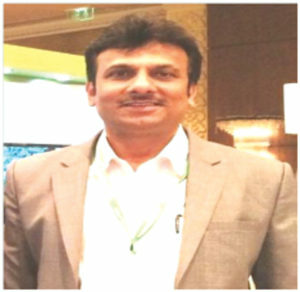 It also helps plants in improving resistance against diseases, deterring pathogens and mitigates abiotic stress,” says Mr. Dhananjay Edakhe, CEO, PlantbiotiX. Company is offering bio solutions to increase farm production by boosting the plant growth and safeguarding from pest/disease attack. It is located at Mumbai, Maharashtra. 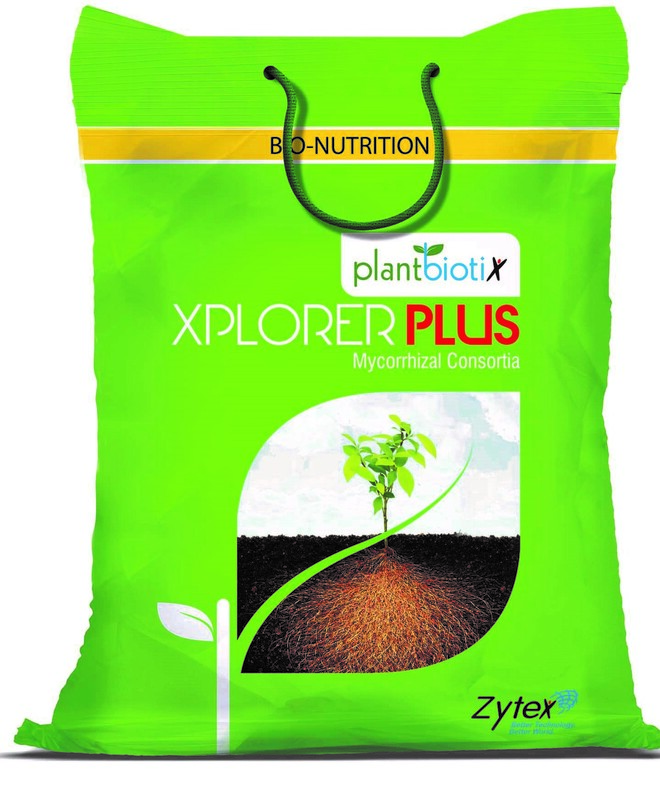 PlantbiotiX is a bio agri business division of Zytex Biotech, Mumbai, pioneer in bio technology.Its expertise in fermentation and microbial strain selection has played a significant role in various industries like textile, food, cosmetic, neutraceuticals and many more. Zytex have well-equipped state-of-the-art technology manufacturing facilities and testing capabilities to produce world class quality products at Silvasa and Baroda in Gujarat state which are ISO 9000, ISO 22000, GMP and FAMIQS certified and R &D lab which is recognized by government of India and has the recognition of DSRI Department of Scientific and Industrial Research (DSIR), Government of India. “We have successfully launched our products in three segments namely Bio nutrition, Bio-control and Soil health in the year 2015-16. All products are microbe based agri- inputs. These have been very well received by farming community and our channel partners / business associates across these indicated states,” asserts Dr. ShekharBisht, Product Application Manager. Majority of PlantbiotiX products are approved for the Organic Farming (NCOF) by ECOCERT. “Most of these formulations contain beneﬁcial bacteria that are able to colonize the roots and promote plant growth and increase productivity either through direct action or via biological control of plant diseases,” he highlights. All the products can be used through multiple mode of application such as seed treatment, drenching, broad casting and through drip irrigation. These are suitable for both open field cultivation and protected cultivation. Application of the products varies from crop-crop. “In general 2 to 3 times product application is advised based on crop. However, we have developed smartphone enabled app focusing crop and product based solutions for farming. 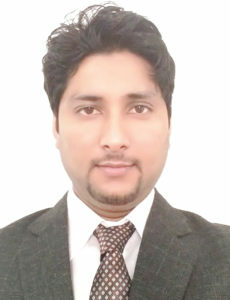 Farmers can follow below link to download PlantbiotiX app for better understanding on product application https://play.google.com/store/apps/details?id=com.plantbiotix ,” shares Dr. ShekharBisht. There is no formal training required to use these products. These are similar to other agro-chemical products. Farmers can expect multiple benefits by using bio-nutrition products. Based on product nature mentioned in product category these products are beneficial for root growth, higher number of secondary branches, canopy size, improving flowering, fruiting and quality improvement. When a farmer is in the conversion period from chemical based farming to organic farming products of PlantbiotiX are largely helpful as it supports plant health by improving availability of crop nutrients, enhancing plant root growth and neutralising toxic compounds in soil. Besides it keeps the crops safe from diseases and deterring pathogens. Thus mitigates abiotic stress and assist farmers in cultivating crops in a more sustainable way. “In general farmers could receive about 12-15 % average incremental increase in yield and about more than 75-80 % control over harmful diseases if applied as per recommended dosage and timing,” affirms Dr. Shekhar Bisht. Speaking about the main differences in bio-nutrition and soil health products, Mr. Edakhe explains, “In both categories the products have different role. 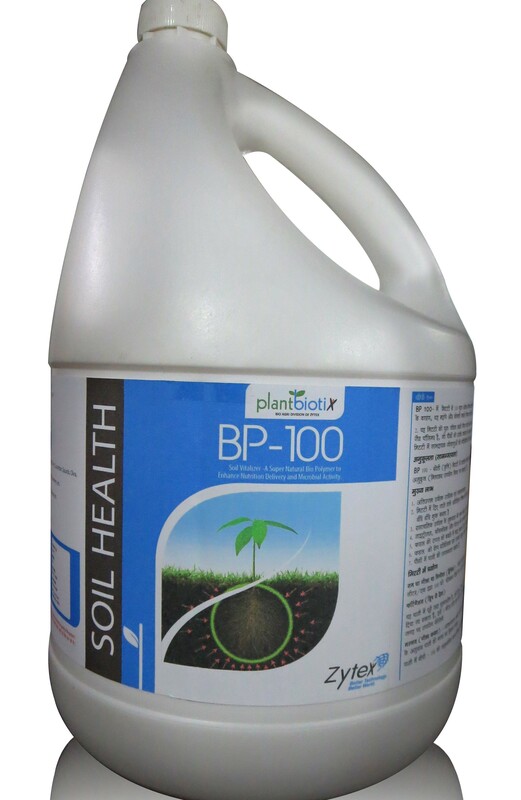 Bio-nutrition products help to improve nutrient uptake and provide readymade nutrient for plant growth. Whereas soil health products help in improving soil texture, fertility, nutrients holding capacity and bio-degradation of organic matter. Besides it replenishes content of N,P,K, secondary nutrients and micronutrients in the soil.” In either case of the product use farmers are recommended to go for soil testing to understand their soil nutrient status and recommendation of fertilizer for next crops. Bio-control products offered by PlantbiotiX can help to control disease both in preventive and curative. “We mostly recommended these products for preventive uses,” says Dr. Bisht. These products are quite effectual is preventing crops from various soil and foliardiseases like wilt, damping off, root rot, late blight and early blight, Downey and powdery mildew of various crops. Farmer can be assured that after using bio control products thecrops would be safe from the various diseasesbecause, “These are microbial product and contain natural killer of various plant pathogenic fungus. Therefore, their application in root and leaf area ensures that these plants pathogenic fungusattack can be minimizesin plants,” he elucidates. Every product in all three segments is high on quality and offers desired “ROI (Return on Investment) to the farmers. “these are cost efficient and result oriented for variety of crops are such as vegetable, horticultural, select row crops like paddy, wheat, cotton, soybean, chick pea etc. Also usage of these products doesn’t pollute the environment,” states Dr. Bisht. 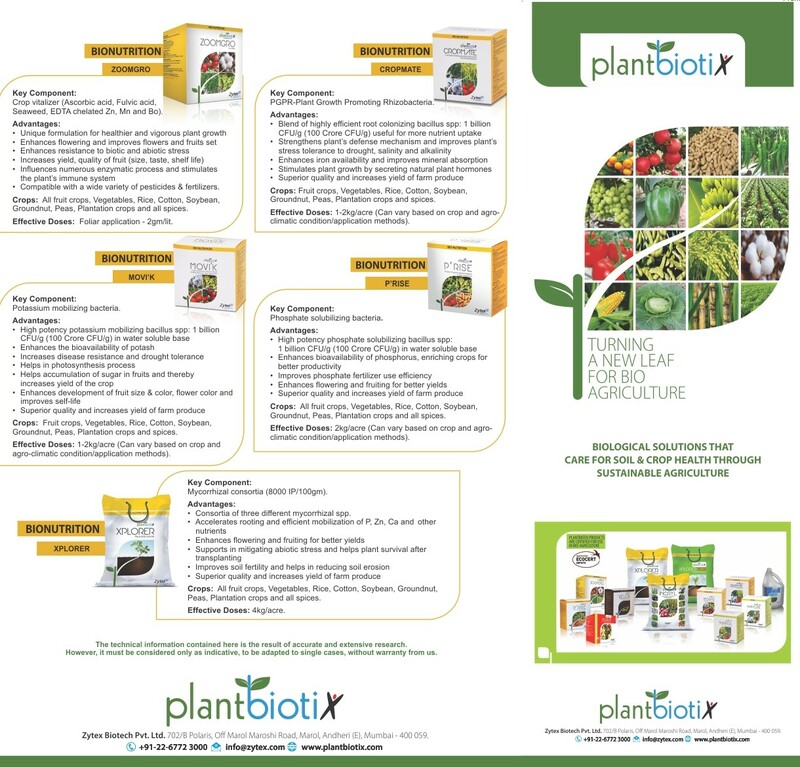 PlantbiotiX have unique promotional strategies to promote its products by educating farmers on products uses benefits.  Usage of greatly effective high definition A/V films capturing product profile / its unique deliverables, method of applications, dosage & also depicting corporate profile in regional languages.  Also specifically designed & extensively used customized smartphone enabled disease & crop specific app in regional languages, localized crop based training vegetables, grapes, programme / workshop for farmers & retailers / dealers. “In pursuit of creating a differentiator in highly cluttered agri–inputs India market place, our team of (150+) trained and highly experienced agri –professionals are working aggressively to reach the farmers. 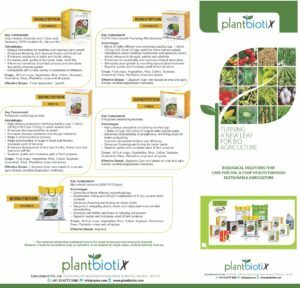 PlantbiotiX been quite successful so far in reaching out and touching lives of close to 1 million progressive, knowledgeable farmers from advanced states of Maharashtra, Gujarat, Madhya Pradesh and Chhattisgarh. We are enabling farmer’s with new technology in the field of agriculture and providing them in depth knowledge about microbe based agri inputs and rendering quality,” assures Mr. Edakhe. Company also provides farm services to the farmers which ultimately helped them in improving productivity per acre and grow high quality farm produce in a cost effective manner, getting better ROI. PlantbiotiX business operations are mainly in Western and Central region of India. “We primarily have presence in Maharashtra, Gujarat, Madhya Pradesh and Chhattisgarh states. We got very good response for our products in all crops category. However our major focus is on horticulture and cash crops. We are continuously improving our portfolio in all categories and bringing some innovative biotechnology products to farming community,” shares Mr. Edakhe. Company is also exporting its products. 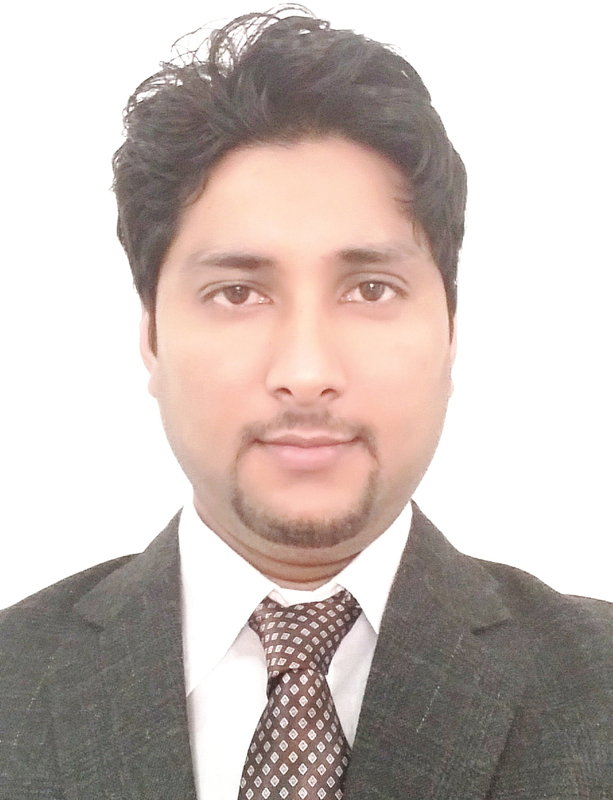 “Besides covering highly potential domestic markets we are already making advancements into agriculturally potential countries such as USA, Mexico, Iran, Mauritius, Vietnam, Philippines, South Korea, Bangladesh, Turkey and some more prospective countries across the globe. We are already exporting to Iran, Vietnam, Mauritius and few products are already final stage of registration in Turkey and Mexico,” he adds. PlantbiotiX reaches the farmer with its active network of more than 200 distributors and 1000+ retailers in all four states of India. PlantbiotiX products are well in demand among Indian and overseas markets for various crops. “We are growing with very good CGAR of 30% overall and expected to grow further by adding more farmer friendly products to improve their farm produce,” he claims. PlantbiotiX is associated with premier agricultural research institutes of India such as Directorate of Soybean Research Indore, National Research Center for Grapes, Mahatma Phule Krishi VidyapeethRahuri, Indira Gandhi Agricultural University, Raipur and few more for validation of product efficacy. “We also have collaborative project on with NRCG (National Research Center for Grapes) Pune for offering microbe based solution for degrading pesticide residues on Grape and other key vegetable crops. Department of Biotechnology Government of India funded decent sum to Zytex Biotech for developing effective bio-fungicides for Indian farming community,” reveals Dr. Bisht.